Even the Merc with a Mouth can be a dapper fellow! 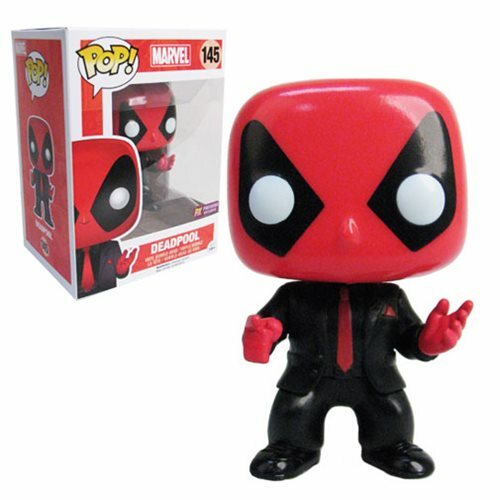 Funko recreates Deadpool as a sharp dressed fella wearing sleek black suit with a red tie. The Deadpool Dressed to Kill Pop! Vinyl Bobble Head - Previews Exclusive measures approximately 3 3/4-inches tall and comes packaged in a stickered window display box. Ages 14 and up.